For more than 80 years, WPHA has convened those who care about the public’s health in the state of Washington. We share ideas, support leadership development, and take action to achieve a healthier community. Our membership is 600 strong and continues to grow. We are outreach workers, health educators, nurses, physicians, policymakers, nutritionists, sanitarians, environmental health specialists, administrators, students, business leaders, and citizens. We are a diverse collection of individuals and organizations with the common goal of improving health and safety in Washington. WSPHA is a 501 c6 non-profit, membership organization and an affiliate of the American Public Health Association. 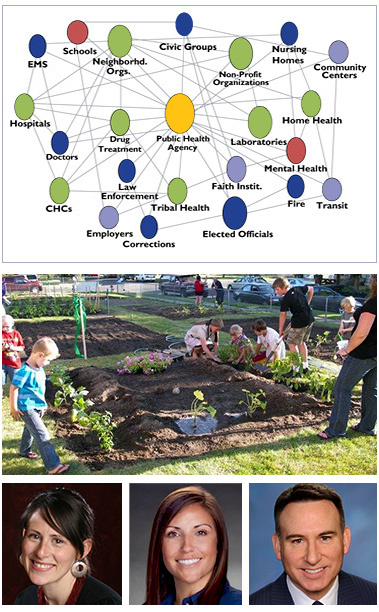 WSPHA is proud to be partnered with many organizations who help work in or support public health in Washington State.